* Green are our normal Drop and Collect service area. (Service price for 2018 set at R420.00). 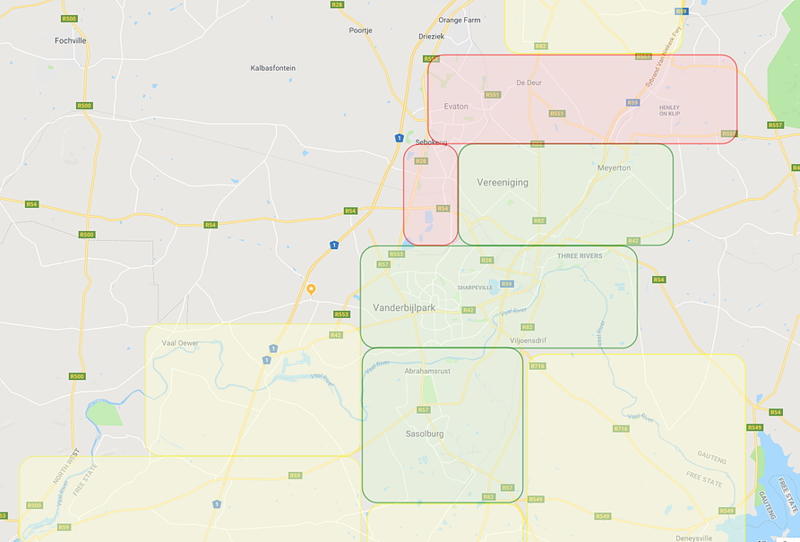 * Red and yellow shapes are serviced at a surcharge of R100.00 and an advance notice of 2 days.